Servicefinder simplifies fleet maintenance for school districts of all sizes. Reduce costs, reduce vehicle downtime, extend vehicle life, increase technician productivity, maintain lower inventory levels and extend better control of personnel and vendors. Burdened with a heavy fleet maintenance load? 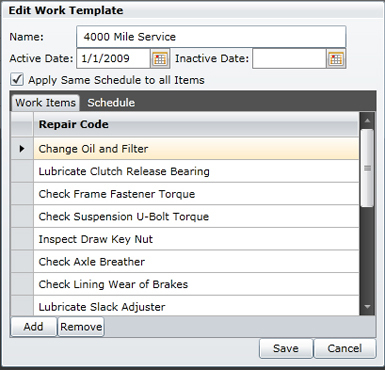 Fleet maintenance made easy with Servicefinder. Control worker overtime and supply costs by having a clear picture of labor hours and ordering processes. Enhanced and more robust than ever before, Servicefinder 4.0 – the web-based fleet maintenance and inventory management solution – improves fleet productivity, reduces burdensome paperwork and the potential risk of missing critical repairs, and more! 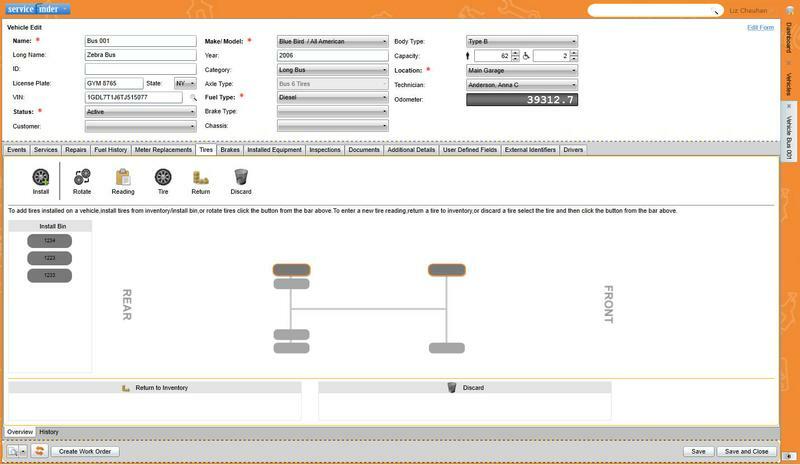 Create & Manage Customers - Create Customers to associate to Work Orders, Invoices and Vehicles. You now have the ability to view Customer history, define Customer markups, discounts and labor rates. Quotes - You can create a Quote for approval prior to creating a Work Order; Quotes can be discounted and approved quotes can be converted into Work Orders. 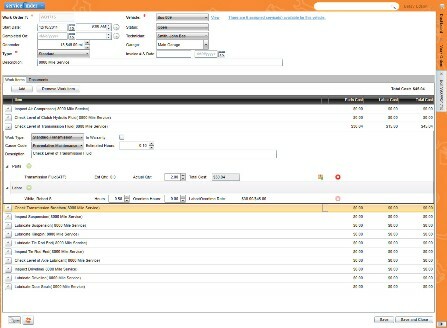 Invoices - You now have the ability to generate an Invoice from a Work Order, apply a discount and submit for approval. And with the addition of permissions, administrators can authorize staff who can create and approve invoices. Purchase Orders - Allows a shop to create Purchase Orders for parts from any vendor, track received parts and fulfillment of POs. Tire & Axle Enhancements - You can now associate multiple vehicle axle configurations for tire repairs, adjustments and replacements. Taxes - You now have the ability to create tax rates to be used with Purchase Orders, Work Orders, Invoices, and Customers. Servicefinder gives you what you need to keep your shop in top performance. Your work orders include details from labor rates and hours to parts cost and warranty information. Parts and labor combine to create work orders so that you can quickly access, analyze, print, and store maintenance and repair records. You also can manage all of your fleet maintenance information in one place and use it to make better decisions about scheduling preventive maintenance, tracking inventories and warranties, and monitoring fuel consumption. With technician and garage data included together you have greater insights into job scheduling, and with inventory tracking blended with part usage, you will have supplies where you need them and when you need them. Servicefinder Dashboard - Quick Links to most frequently used functions and one screen summary of critical operational data such as work orders scheduled and upcoming preventative maintenance events. 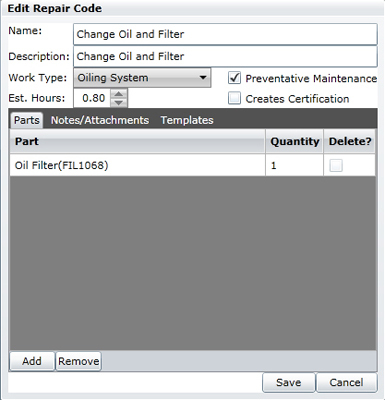 Work Order Management - Easily schedule work orders for your buses using repair codes to automatically assign estimated hours and any required parts. Tire Management - measures tread depth; schedules tire rotation; and tracks mileage. Fuel Import - provides vehicle fuel usage history and is customizable not only to measure fuel consumption, but also to provide odometer readings, which trigger preventive maintenance tasks. Barcoding - imports part numbers as well as prints barcodes for optimal inventory control. Flat Labor Rate - establishes benchmarks for measuring technician productivty on specific tasks. Tire Management - Track what tires are on your buses, tread depth and how many miles are on your tires. Built-in tire rotation patterns will automate associated data entry work. Repair Codes - Predefined and fully customizable school bus repair codes including parts required and flat labor rates to measure the performance of your technicians. You will save valuable time and money with Servicefinder because we have streamlined the daily activities necessary to run a successful fleet maintenance operation. Vehicle Preventive Maintenance - Easily identify what PM work has to be performed on your buses, last time PM work was performed and the next scheduled interval. Preventive Maintenance Events - A collection of repair codes can be grouped into a preventive maintenance event and scheduled to occur at regular intervals.